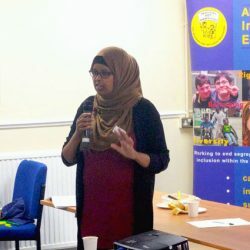 “The Knowledge is Power toolkit, in particular, has really given me an excellent starting point to help recruit the next generation of Disabled young people to be involved in ECIL” Warda Mohamed, Disability support worker, Ealing Centre for Independent Living (ECIL). What is the Inclusion Champions Network? Inclusion Champions is a network of Disabled people’s organisations (DPOs) who work together for the right of Disabled children and young people to be fully included in mainstream education. We follow the principles of inclusive education, the social model of disability, independent living and equality legislation including the UN Convention on the Rights of Persons with Disabilities. Becoming an Inclusion Champion is easy – just contact our Inclusion Champions Coordinator. To become a member your organisation must be or aspire to be a Disabled person led organisation. 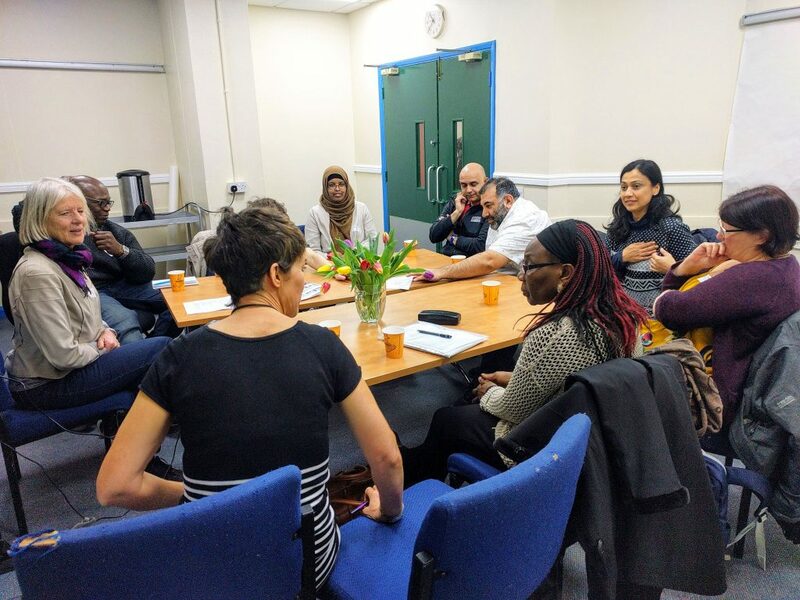 Read about Warda and ECIL’s experience of the Inclusion Champions project. Our Inclusion Champions FAQ also has more information about inclusive education and its relevance to what DPOs do on a daily basis. Some of the workshops we have offered are below. We have no current dates arranged, but please get in touch if you are interested in coming to a future event. Training is free and ALLFIE will contribute attendance fees. • What is meant by inclusion for all Disabled learners. • Overview of the Children and Families Act 2014 – who is covered by SEN and Disability definitions, joint commissioning, local offer etc. Contact our Inclusion Champions Coordinator to register your interest. Ideal training for DPOs looking at engaging and involving Disabled young people in their projects and services – suitable for frontline workers and community development workers. Trainers are two young Disabled trainers with experience in the area. Contact our Inclusion Champions Coordinator to register your interest. What are the issues families face? Contact our Inclusion Champions Coordinator for more details and to book.